The decision by NASA managers to extend the Juno mission was expected, after a review board in April determined that the spacecraft was returning valuable science data, with all its major systems and instruments working normally. The exception to Juno’s favorable health report is the main engine, which managers elected not to use as intended in late 2016 to maneuver the spacecraft into a lower orbit that would have taken the orbiter once around Jupiter every 14 days. Instead, officials decided to keep Juno in an elongated 53-day orbit. The main engine successfully fired during Juno’s orbit insertion burn around Jupiter on July 4, 2016, but engineers detected an issue with valves inside Juno’s engine during a checkout before a follow-up burn a few months later intended to maneuver into the mission’s final science orbit. Officials preferred not to risk a malfunction and canceled the engine burn, keeping Juno in its initial insertion orbit. 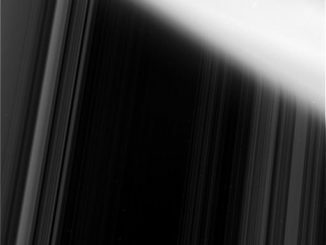 That decision meant Juno needed more time to gather the mission’s required science data. The spacecraft’s instruments collect most of their data while passing close to planet once every 53 days, not the 14-day cadence originally planned. 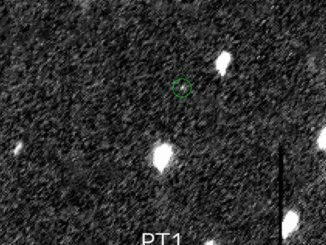 Scientists planned to have Juno complete 32 of the 14-day science orbits through February of this year, when its prime mission was scheduled to be over and ground controllers planned to intentionally crash the spacecraft into Jupiter’s atmosphere, avoiding the possibility of contaminating one of Jupiter’s potentially habitable moons. 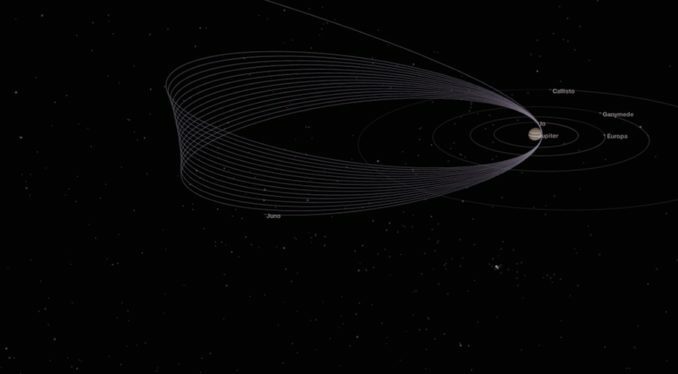 With the longer orbit, Juno has completed 12 science flybys to date, with the 13th close-up approach scheduled for July 16. 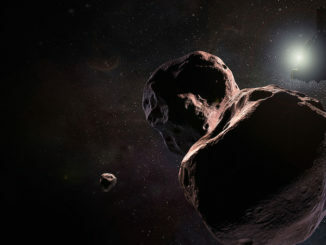 It will take an extra three years to achieve all 32 science flybys. NASA has agreed to fund the Juno mission through fiscal year 2022, the agency announced Wednesday. Mission operations are set to end in July 2021, with continued data analysis through 2022. “This is great news for planetary exploration as well as for the Juno team,” said Scott Bolton, principal investigator of Juno, from the Southwest Research Institute in San Antonio. 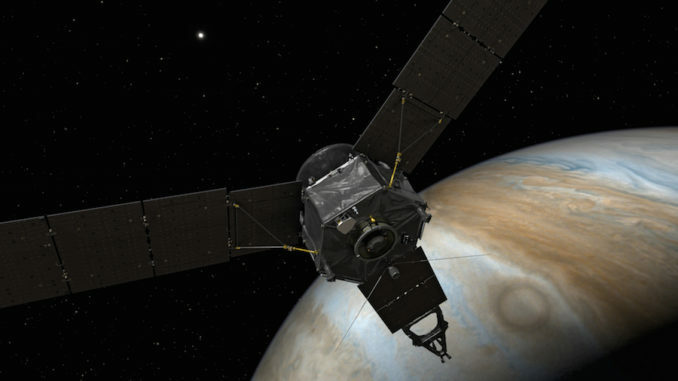 “These updated plans for Juno will allow it to complete its primary science goals. One recent discovery by Juno showed that lightning in Jupiter’s turbulent atmosphere is more common near the planet’s poles, not at equatorial latitudes. On Earth, lightning in the tropics is more prevalent that at higher latitudes. In 1979, NASA’s Voyager 1 spacecraft detected lightning in Jupiter’s atmosphere via radio signals emitted by the electrical discharges. But the radio signals picked up by Voyager 1 did not match those emitted by lightning on Earth. “In the data from our first eight flybys, Juno’s MWR (microwave radiometer) detected 377 lightning discharges,” said Shannon Brown, a scientist at NASA’s Jet Propulsion Laboratory and lead author of a paper published Wednesday in Nature. “They were recorded in the megahertz as well as gigahertz range, which is what you can find with terrestrial lightning emissions. 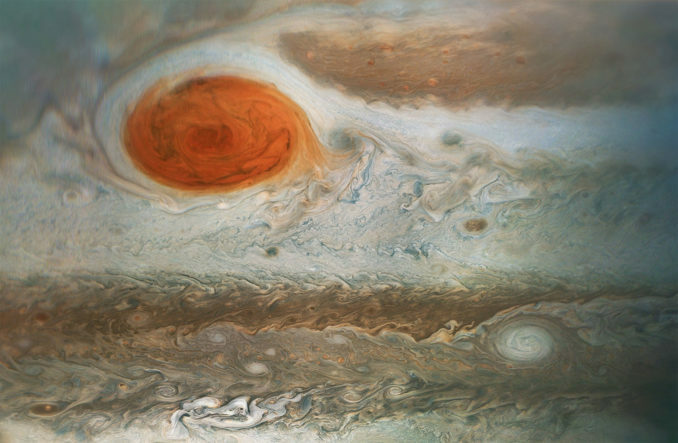 “We think the reason we are the only ones who can see it is because Juno is flying closer to the lighting than ever before, and we are searching at a radio frequency that passes easily through Jupiter’s ionosphere,” Brown said in a statement. Scientists think heat from the sun near Jupiter’s equator warms the planet’s swirling clouds just enough to inhibit convection. Most of Jupiter’s heat, which drives the convection that produces lightning, is generated from within the planet, not from the sun, which delivers 25 times less energy to Jupiter than to Earth. Other early results from Juno suggest Jupiter’s interior is more complex than previously thought, with a larger, potentially dissolved core, and bands that extend deeper into the atmosphere than predicted. Many scientists thought Jupiter was “relatively boring and uniform” inside before Juno arrived, Bolton said in a science briefing last year.